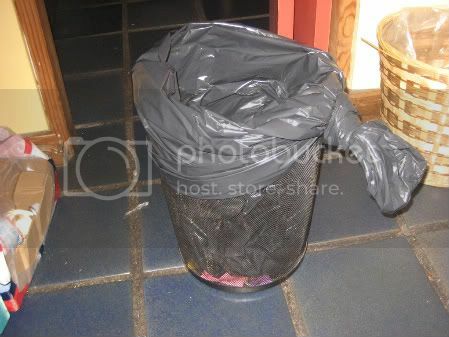 This trash can has a little pony tail... Adorable!! !